Russel Westbrook is probably inside the backpack. Although the Oklahoma City Thunder were outclassed by the Spurs in the Western Conference playoffs last season, OKC fans had a reason to be proud: Kevin Durant was finally named as the NBA MVP, after leading the league in scoring for four seasons. 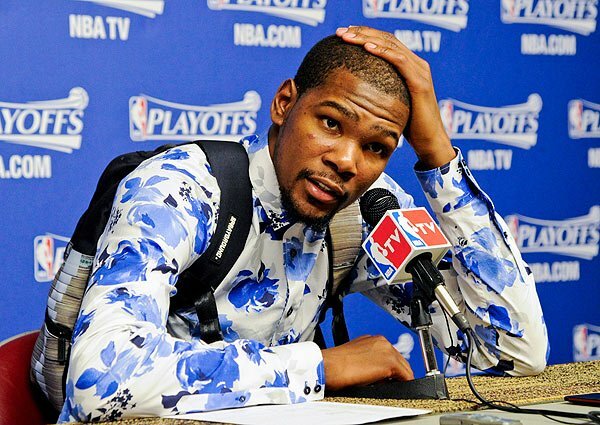 Although he’s definitely not the MVP in the fashion department, Durant undoubtedly deserves the award, beating players like Lebron James, Chris Paul, Blake Griffin and Joakim Noah. The awarding ceremony was a very special one as well, with Durantula dedicating it to his mother, saying the now famous words: “You the real MVP”. 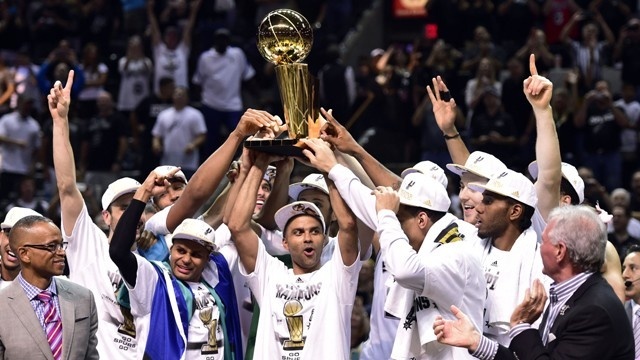 Much to the delight of REAL and overnight Spurs fans (you know who you are) and Lebron haters, the Spurs won their fifth NBA title after methodically dismantling the Miami Heat in five games. Piloted by long time coach Gregg Popovich and led by the aged, experienced and still lethal big three of Tim Duncan, Manu Ginobili and Tony Parker, they dominated the league with 62-20 record during the season, and finished the playoffs with a 16-7 record. Maccabi Tel-Aviv: A dominant force in European basketball. As Europe’s premier basketball champions league – and the hoops version of the UEFA Champions League – the Euroleague is one of the most-watched basketball events in the whole world. 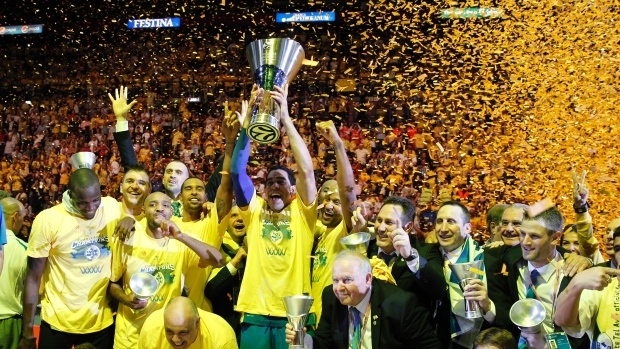 This year’s edition was won by Maccabi Tel Aviv, one of the winningest basketball clubs in the Israel and Europe. Expect scenes like this for years to come. You have to hand it to the other teams for showing up in the FIBA World Cup – which was dominated once again by the defending champions, the United States. With host Spain (pundits believed that this is the only team able to put up a fight against the mighty Americans) losing to France in the quarterfinals, the path to the championship was clear, but the Serbians, who had a relatively good tournament despite losing three games in the semis, stood in the way. 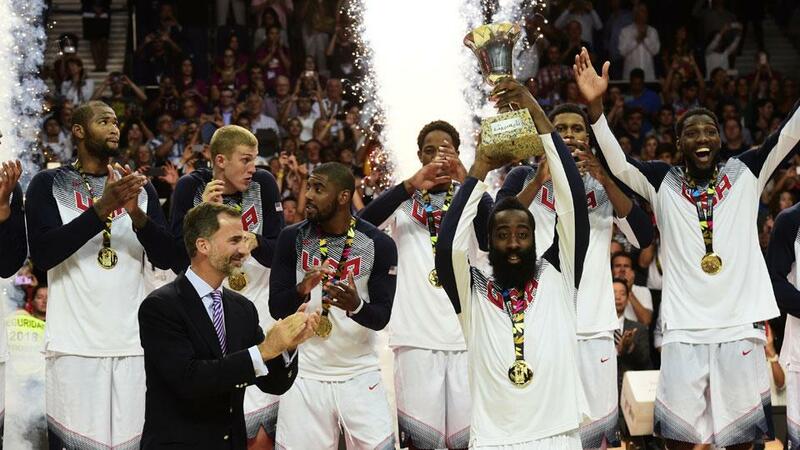 The much anticipated final turned into a snoozefest, wherein the Americans, led by the likes of Anthony Davis, James Harden, Stephen Curry, Rudy Gay, Kenneth Faried and eventual MVP Derrick Rose, destroyed the mighty Europeans via 121-92 romp. 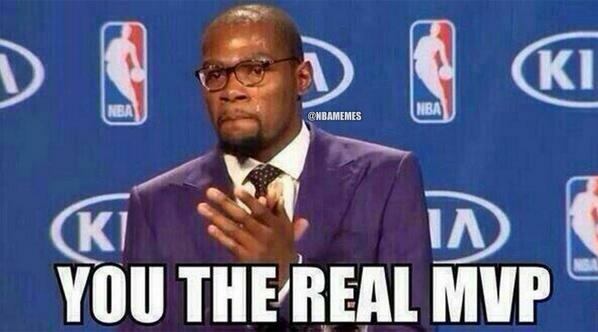 In every sports event, there will always be underdogs, and these teams or athletes usually make headlines. Such was the case of the Philippines. 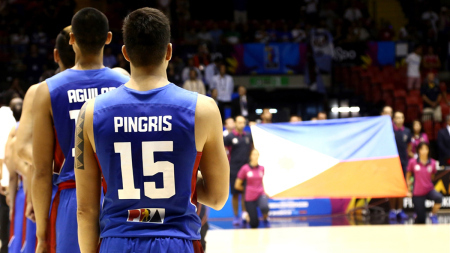 Despite being knocked out of the group with a 1-4 win-loss record, the Filipinos displayed what “organized chaos” and Philippine basketball is all about. Led by multi-titled, acclaimed and unfairly criticized coach, Vincent Reyes, pint-sized guards LA Tenorio and Jimmy Alapag (both standing 5’8 and 5’9 respectively), sniper Jeff Chan, George Mason University alumnus Gabe Norwood and former Brooklyn Nets center Andray Blatche, the Philippines fought tooth and nail with some of the biggest basketball names in the world, earning respect from hoops junkies and journalists worldwide. 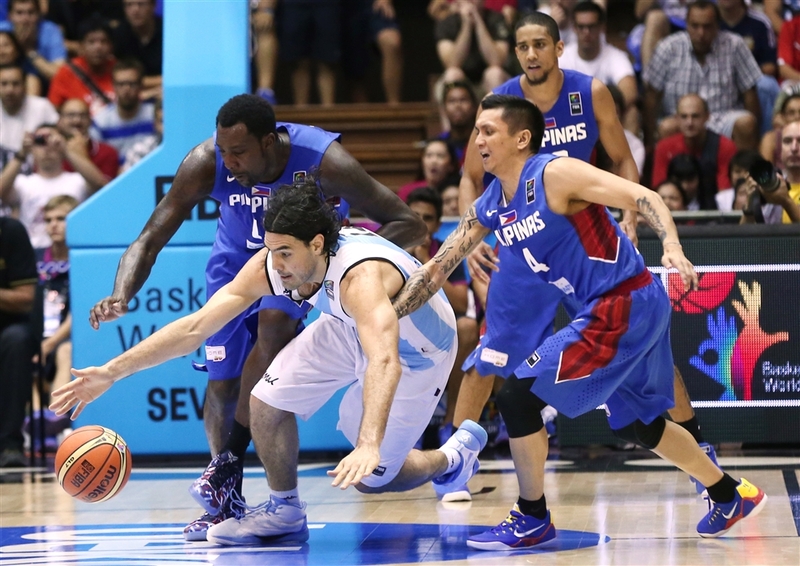 Luis Scola diving for the ball with Jimmy Alapag, Andray Blatche and Gabe Norwood on defense. Despite being tagged as “a team that would lose by 30 on average”, Gilas Pilipinas, as dubbed by their legions of loving fans, forced overtime against Croatia, a team twice their size, losing eventually by three points. Fought hard against former bronze medalist Greece, almost came from behind Luis Scola-led Argentina, with Jimmy Alapag rifling five treys in the second half to reduce a 15-point deficit to one. However, they lost a heartbreaker against a JJ Barea-led Puerto Rico, before recording a much-deserved win against African giants, Senegal. In case you didn’t know, the Filipinos are crazy about basketball, which is why they were dubbed as the most valuable fans of the tournament. Do you have your own basketball stories to share? Please tell us what we missed in the comments!